Posted on August 18, 2012 by Andi Cumbo. Her blog is AndiLit. Despite my utter disbelief when she says she doesn’t understand why writers hate to write, I still call Joanne Yeck a friend. We met because our research brought us together. Her most recently published title, A Place Called Buckingham studies Buckingham County, the county just across the river from the location of my book. I hope you will enjoy Joanne’s thoughts on her writing life. also see Thomas Jefferson in a new light – as a big brother, as a farmer, and as a slaveholder. and was a prodigious letter writer; my father was a copywriter and authored several books. extensive library and no little sister or brother scribbling inappropriately in my beloved volumes. and Stone Soup, which I adored. to editing to marketing, my brain cells are exercised many hours, every day of the week. Catherine the Great: Portrait of a Woman (Robert K. Massie) and a new translation of Dr.
travel books and memoirs, interested in comparing and contrasting approaches to form. I started with Mirrors of the Unseen: Journeys in Iran (Jason Elliot) and Travels with Pomegranates (Sue Monk Kidd and Ann Kidd Taylor). The next selection is I Remember Nothing and Other Reflections (Nora Ephron). Generally, I read non-fiction, mostly history and biography, and recently finished A Slave in the White House: Paul Jennings and the Madisons (Elizabeth Dowling Taylor) and Kay Francis: I Can’t Wait to be Forgotten – Her Life on Film and Stage (Scott O’Brien). Now that’s eclectic! There is a general assumption that writers are avid readers. English teachers insist that you read “good books” to learn how to write well. Contrary to this popular belief, I learned to write at the movies. By watching hundreds of movies, I internalized strong, classical narrative and great dialogue. As you may have guessed already, I’m an auditory learner. Once I discovered classic Hollywood movies, which powerfully combined story and image, books took a back seat to Gable, Bogart, Crawford, and Davis. As with motion pictures, I don’t have favorite books. However, I can name three very influential titles. Margaret Mitchell’s Gone with the Wind launched two careers: the first in cinema studies and the second in southern history. Ayn Rand’s The Fountainhead was intellectually affirming at age 15. And, very recently, I revisited True Grit by Charles Portis. Mattie Ross is still my hero! If we lived in the world of Fahrenheit 451, I would memorize True Grit. I can honestly say, I have no idea what you mean! My home is both my castle and my office. It verges on a hermitage. I rarely go out and even more rarely have people in. My house sits at the edge of a small woods in southern Ohio. The setting is suburban, but feels much more isolated. We have everything in our yard but skunk . . . all the typical song birds, plus woodpeckers of all shapes and sizes, hawk, deer, racoon, fox, opossum, and even coyote. Admittedly, the coyote are rarely seen, but often heard as they travel the ravine. My location means that everyday needs are very convenient; at the same time, I enjoy a great deal of quiet, which is conducive for writing. When I’m not working on a manuscript (which you now know is constantly), I’m typically conducting research or watching the deer consume the hosta or the fox family frolic on the lawn. Their habituation to the suburbs is a tad disturbing. . . .
space is my bed. Unlike Mark Twain, it does not also include 25 cats. people were willing to read my drafts; I’d welcome their comments. Historian Joanne Yeck has been exploring her Buckingham County roots since 1995. She is the author of numerous articles concerning Classic Hollywood and American Popular Culture and the co-author of Movie Westerns and Our Movie Heritage. 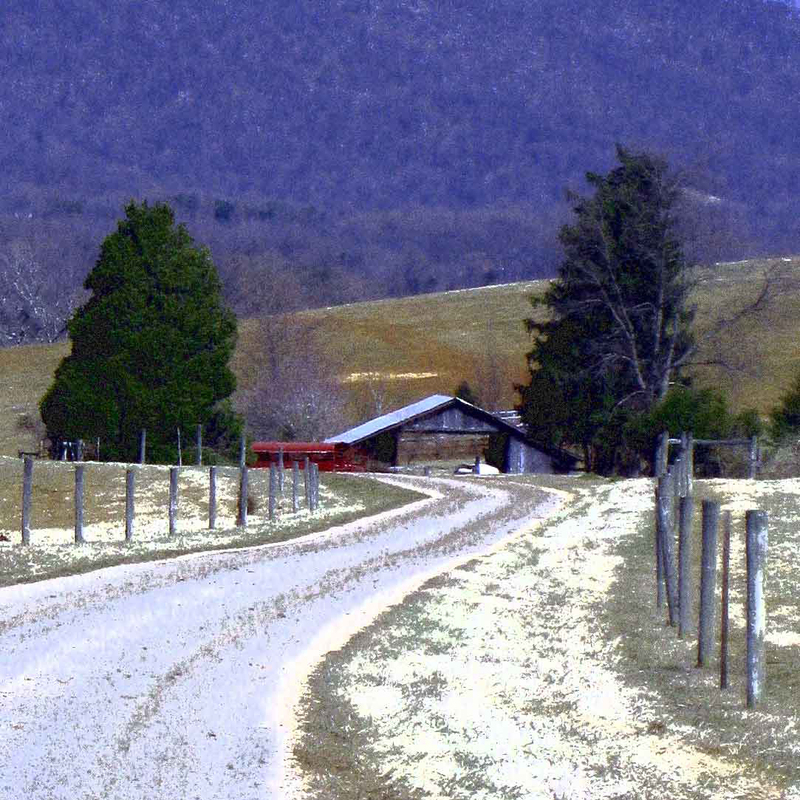 Today, her love for Virginia, especially Buckingham County, has translated into a full-time occupation. When she is not exploring Virginia, in the field or in the archives, she resides in Kettering, Ohio.